I can't even begin to explain why or how much I love Splatoon. It's not even a week old and it's tied as my fifth favorite game of all time. I can't express this enough, everyone. PLAY THIS GAME!! Also the story mode BLEW ME AWAY. Seriously INKredible stuff here. Expect it on SkyJam sometime before the summer ends! That is not a promise I should make as we already have a huge backlog of finished episodes, but STILL! I love how miles knows exactly what's going on, so he has to go get his costume. OH. MY. GOSH!! You have SPLATOON!!! I am so wanting that game! but if I bought it it would be pointless, I don't have a WiiU. Referring to SkyJam, I think you two should play a blind playthrough, where neither of you have ever played that game ever. You should also do a Super Smash Bros. WiiU competition. I'd put this in a comment on youtube but youtube won't let me. I just realized that Pudding jumped out of her window. Splatoon looks like such a good game, but I'm not gonna buy a WiiU just to get it. I just love Pudding more and more. She is so cute jumping out of the window. I agree with That Random Guy. you and James should play a blind playthrough of that game Splatoon. I'll be playing some of his favorite games blind in the future! As for a game NEITHER of us has played... It'll happen! It's hard to find one though, between the two of us it feels like we've played everything! AS FOR SMASH WIIU! We find that we aren't funny when we play because we all get really into it a fall silent on accident. 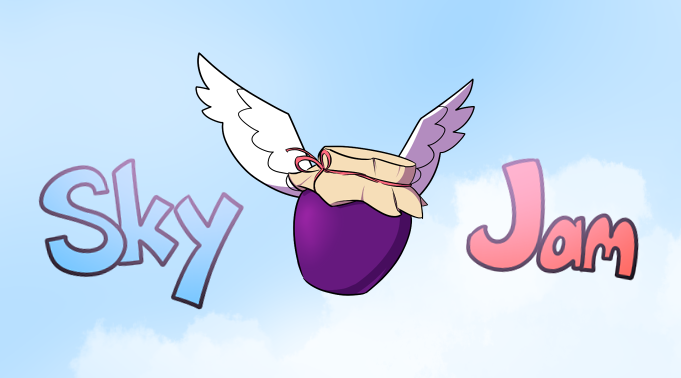 We really want to play it on the show though- it's collectively the favorite game of SkyJam! It'll happen one day once we figure out how to be silly with it, I promise! While Pudding's friends wont be appearing in this chapter, I CAN hint that this wont be the only chapter featuring SDHX, so maybe you're onto something!?!? Maybe she did, maybe that was just her imagination! WE'LL NEVER KNOW! As I said to ThatRandomGuy, (See above), I totally recommend it! Personally I think Splatoon is worth the price of the WiiU alone, but there are SO MANY incredible games for the system that you'd never be at a loss for them! Three of my top five favorite games are for the WiiU! (Pikmin3,SmashBros,Splatoon)! Thank you! ^_^ While I can't play a blind playthrough of Splatoon, (I've already finished Story mode!) I'd love to do a blind playthrough someday once we find a good game for it! I'm not sure she jumped out her window, I think she "flew" down the stairs, if you know what I mean. i can't help but be reminded of the Stupendous Man strips from Calvin & Hobbes whenever i read this chapter. maybe that's part of the reason why it's my favorite.